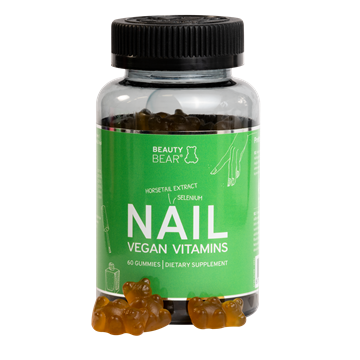 Beauty Bear NAIL Vitamins are delicious gummies with taste of green apples specially designed with essential nutrients that strengthen and maintain the nails. 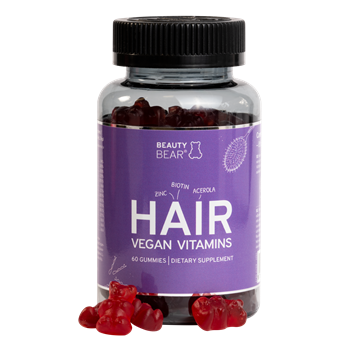 Beauty Bear NAIL Vitamins contain both Horsetail, Selenium, Vitamin B6 and B12 and Zinc, which together maintain and strengthen the nails. Delicious gummies with a taste of raspberries specially designed with essential nutrients for your skin, including Vitamin A and Zinc, which strengthen and maintains your skin and Ceramides, which improves skin-elasticity and the appearance of wrinkles. 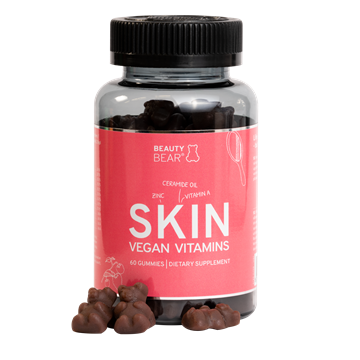 Beauty Bear TAN Vitamins are delicious gummies with flavor from sweet sunkissed peaches. 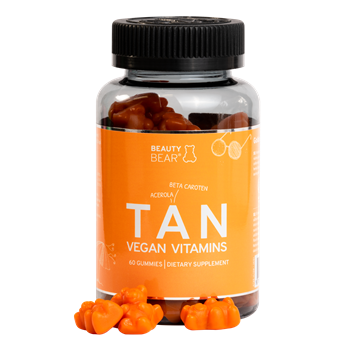 Beauty Bear TAN Vitamins will prepare your skin for a beautiful and long lasting tan, while also protecting you from sunburn. TAN Vitamins is not a substitute for the use of sunscreen. We recommend that you always use an appropriate SPF sunscreen when staying in the sun.